After attending the annual get together of the Early Birds Association of Australia in Sydney in 1977, three Queensland members decided that it would be an excellent idea to form a Queensland Branch of the Associatiion as it was impossible for some members to attend reunions etc in Sydney. 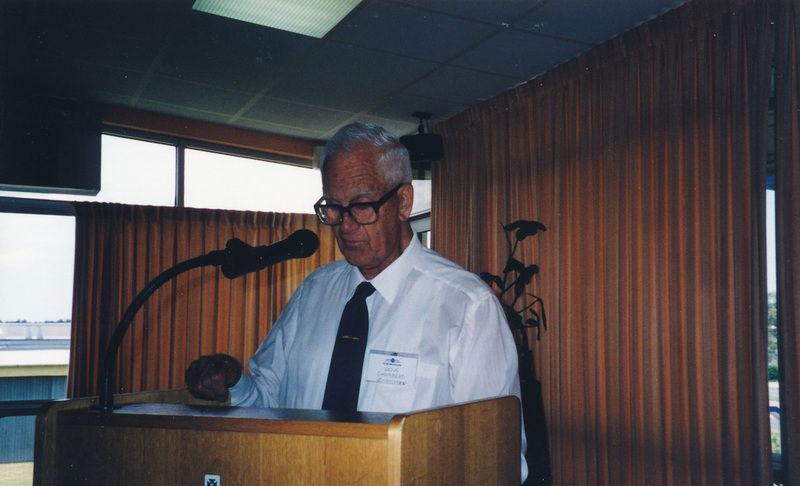 Bob Brown convened a meeting of "interest" called at the Royal Queensland Aero Club on 16th February 1978. A very enthusiastic 49 persons attended the meeting which was Chaired by Arch Steinbeck OBE. 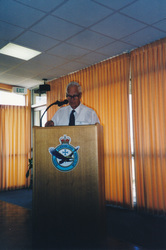 President Harold Affleck flew up from Sydney to attend the meeting. A decision was made to form a branch and nominations were called for Chairman, Hon. Secretary/Treasurer and a committee of three. 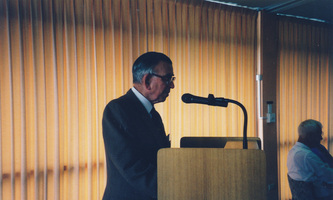 Tom Drury became Chairman, Arch Steinbeck OBE Hon. 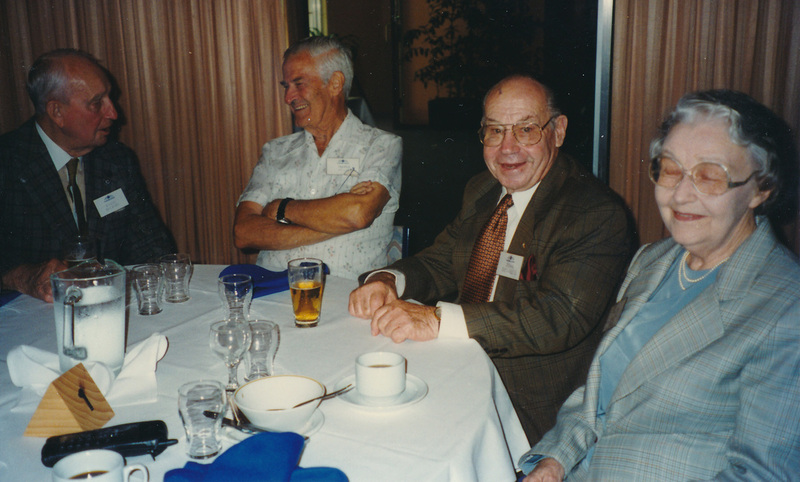 Secretary/Treasurer and a committee of Bob Brown, Ray Smith and Andrew Gersekowski. 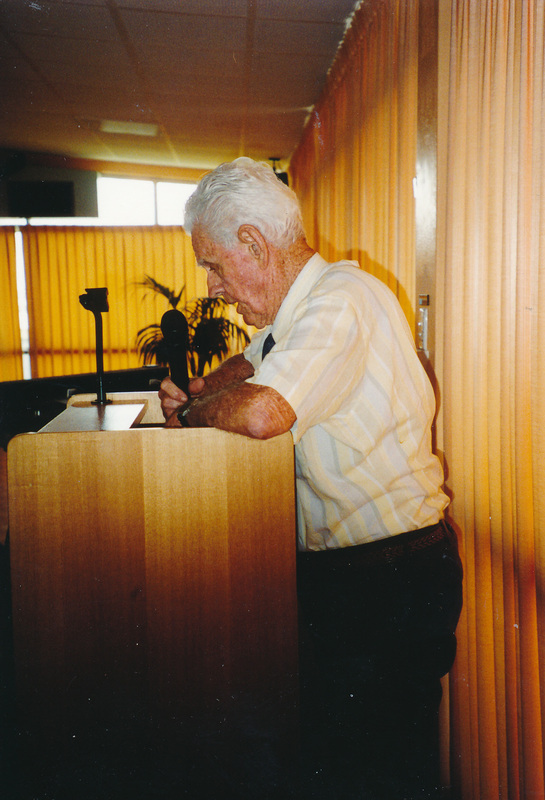 Harry Purvis was appointed North Queensland Representative and Ted Wixted Hon. Historian (a position he held until his death in May 2001). 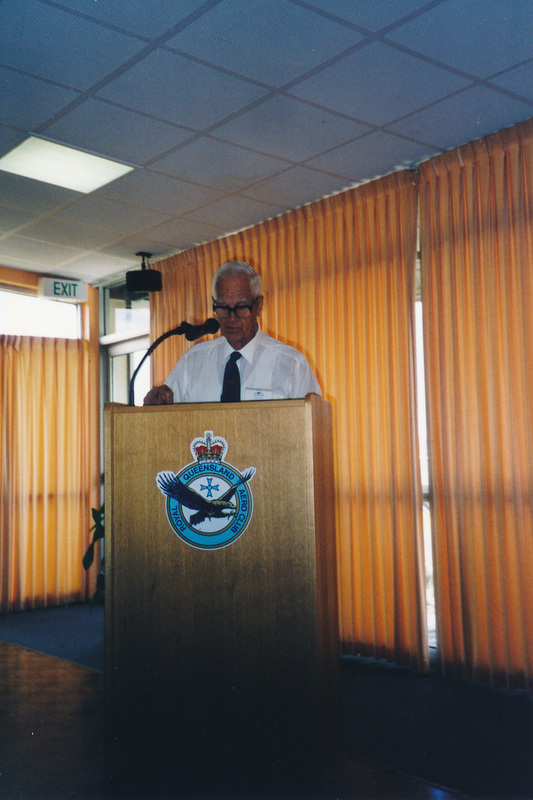 All Branch Members must first be a financial Member of the Early Birds Association of Australia. To be residents of Queensland (or just over the border). There would be an Annual General Meeting in July of each year. 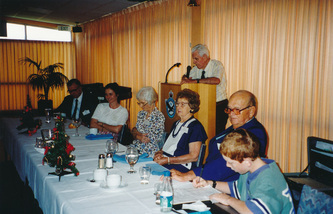 Later it was decided to hold the AGM prior to the November luncheon. Social functions would take place twice a year, approximately the third week of May and the third week of November. 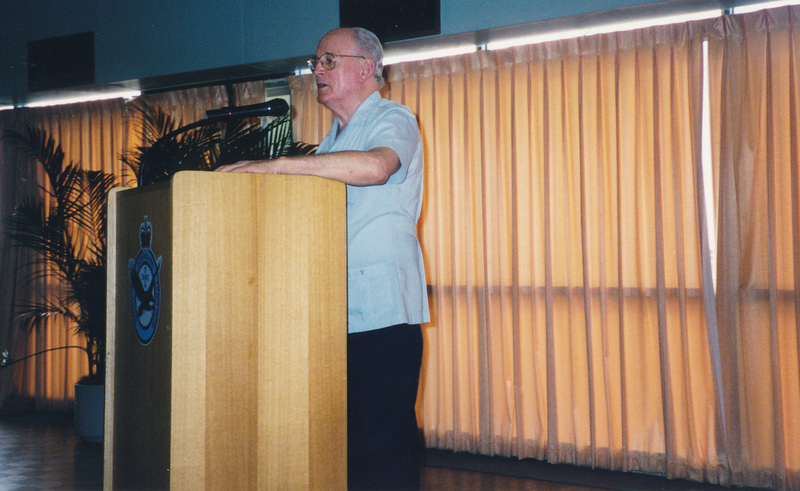 As from 2000, only one function to be held in November each year. 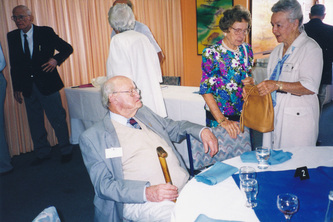 Office Bearers would serve for a three year period but could stand for re-election. The position of Chairman was deemed unnecessary on 16th December 2002. 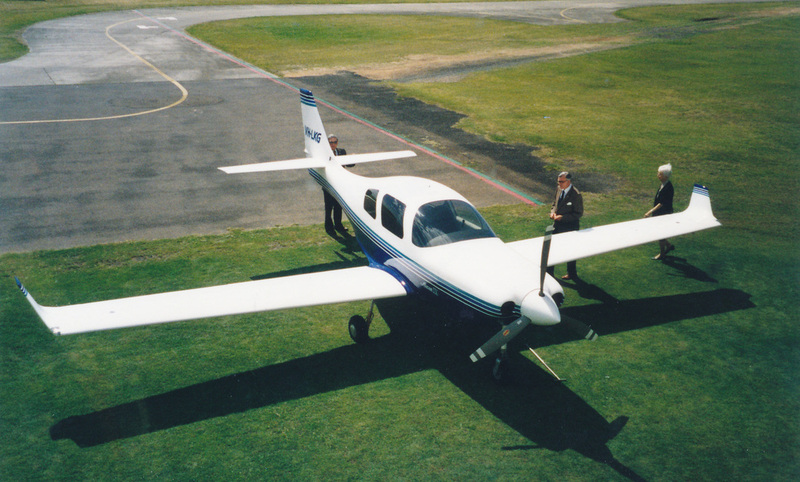 The membership reached a peak of 136 in October 1985. As at November 2010 it stood at 17 - 145 having passed on since the Branch was formed. A further 56 were cancelled, resigned or transferred to other states. The Annual General Meetings have been held at the Royal Queensland Aero Club with the exception of 1981 which was held at the TAA rooms at Eagle Farm. 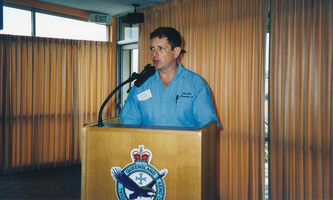 The first seventeen lunches were held at the RAAF Support Unit at Kangaroo Point. Our ladies did the catering. This enabled profits to be made which is the basis of our bank balance. 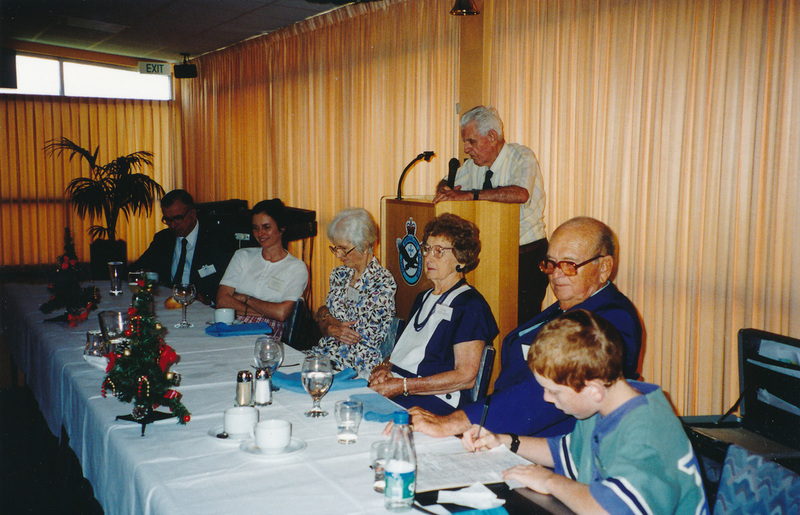 The last luncheon at Kangaroo Point was held on 14 November 1987. 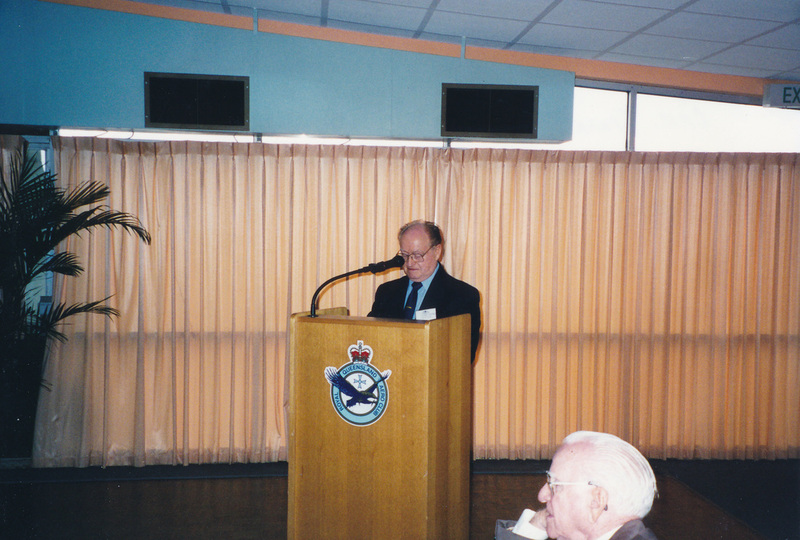 Then, from 28 May 1988, the luncheons were held at the Royal Queensland Aero Club at Archerfield. Last one was 20 November 2004. It was decided that we would get together at the Sofitel Hotel on the 3rd Wednesday of November each year - the first one was on 20 November 2000. 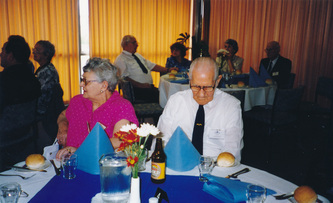 Then in November 2007 we went to the Holiday Inn, Brisbane - the get together now held in May and November. The last get together was in November 2010. 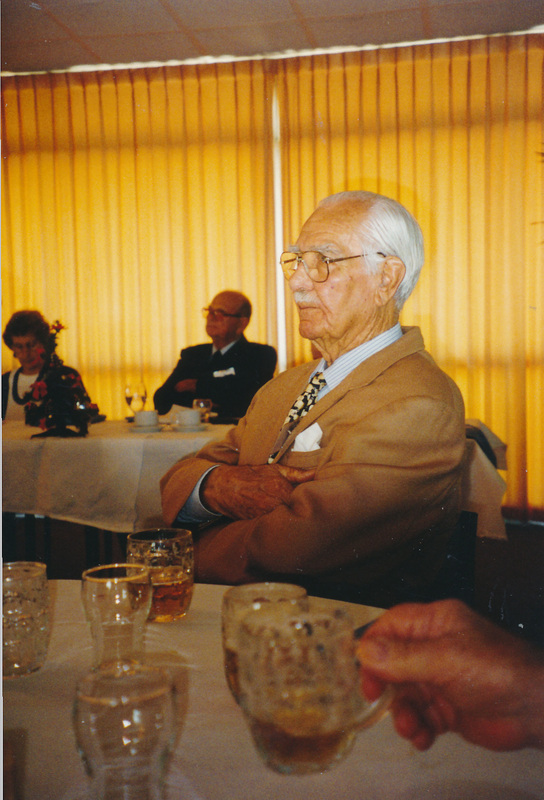 A project was undertaken to erect a plaque and drinking fountain near the Southern Cross Memorial at Eagle Farm. 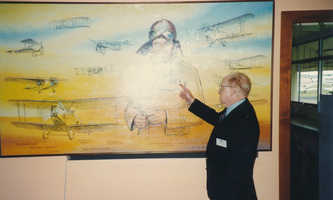 This was unveiled by our Chairman, Tom Drury in March 1981. 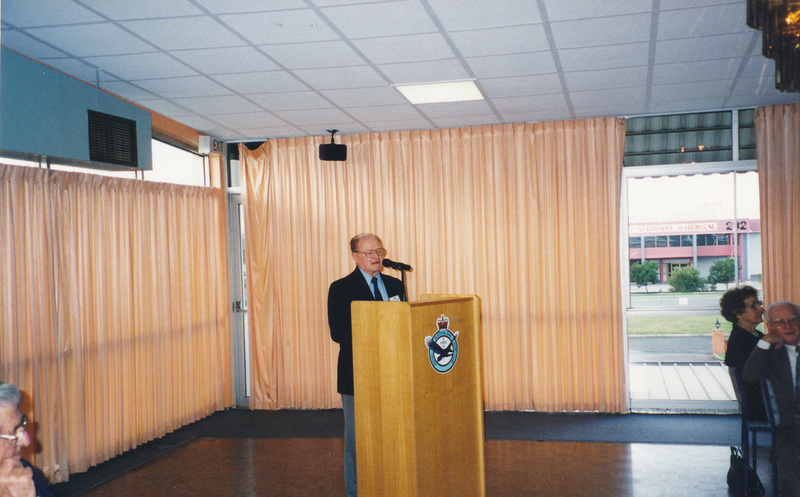 It was later transferred to the location of the new memorial building. The committee and members have participated in functions and displays etc pertaining to early aviation and aviators. Many of them organised by Ted Wixted our Hon. Historian. The Branch ceased to operate from 26 November 2010. 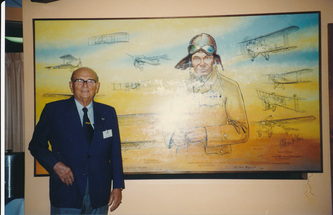 A donation was made to the Queensland Air Museum of $1380.00 and the bank was closed. 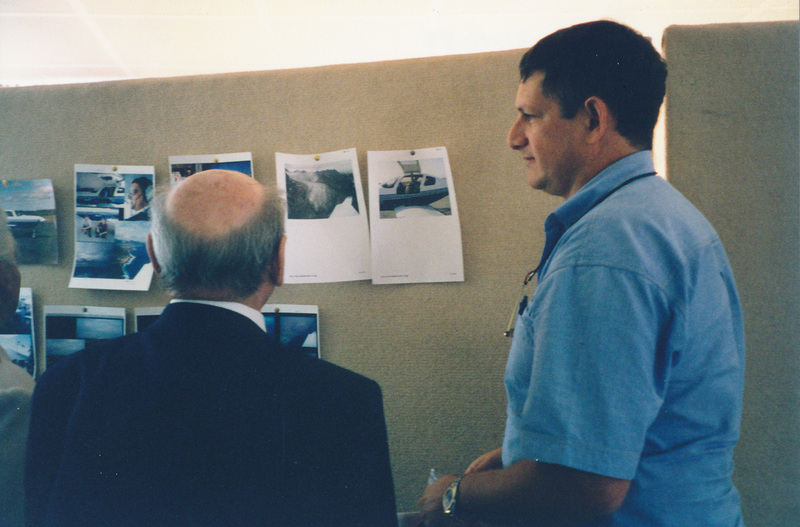 I have received the honour of writing my thoughts about the final gathering of the Early Birds (Queensland Branch) that took place in November 2010. 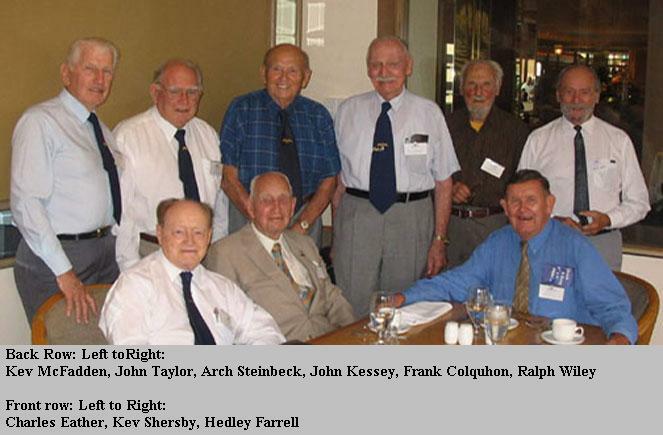 It has always been a humbling experience to be amongst these pioneer airmen who contributed so much to aviation in an environment so very different to that of today. It is not easy to put into words the pride I feel in knowing these gentlemen and their friendship is one that I value for ever. As foreshadowed in the Early Birds News article of 19/12/05, the Queensland Branch of the Association formally disbanded at it's final meeting held on 24 November 2010 which was held at the Holiday Inn Brisbane. 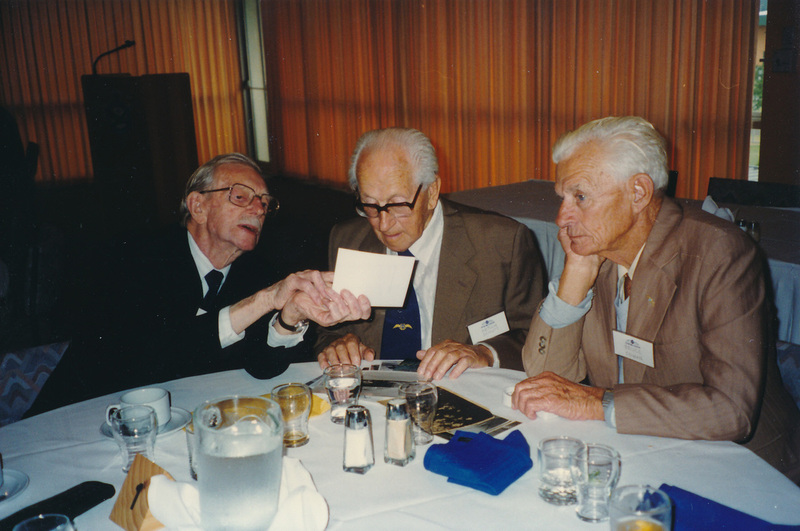 It was a sad but inevitable step in the life of this group as membership continued to dwindle and members continued to grow older, and, some could no longer maintain their membership, for various good reasons. 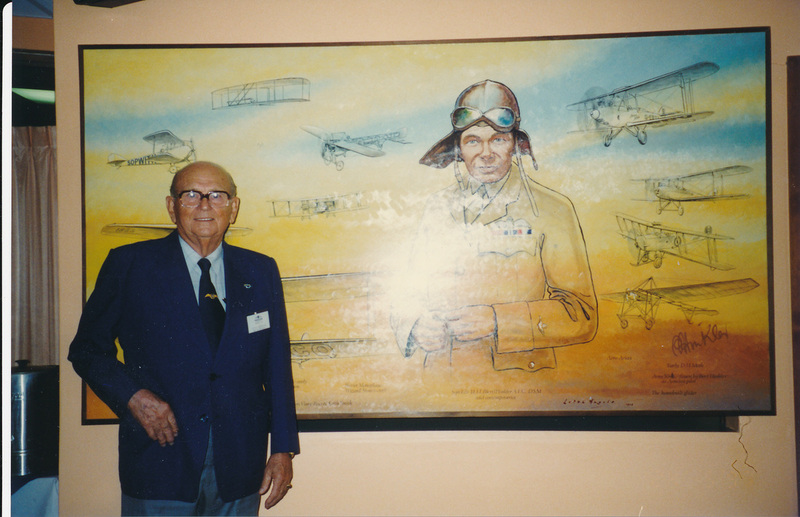 The final group is shown in the following photos taken of this special occasion and I hope you enjoy looking at them and remembering these fine aviators. Group photo of those those attending the final meeting of the Queensland Branch at the Holiday Inn Brisbane.